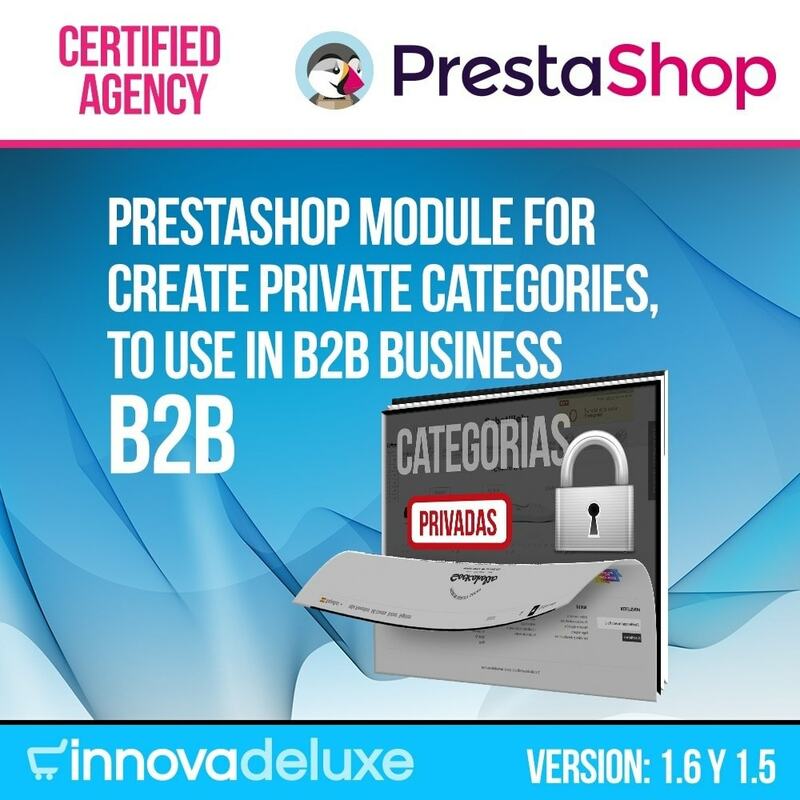 Now with this module you’ll be able to have private categories in your Prestashop Online Shop. 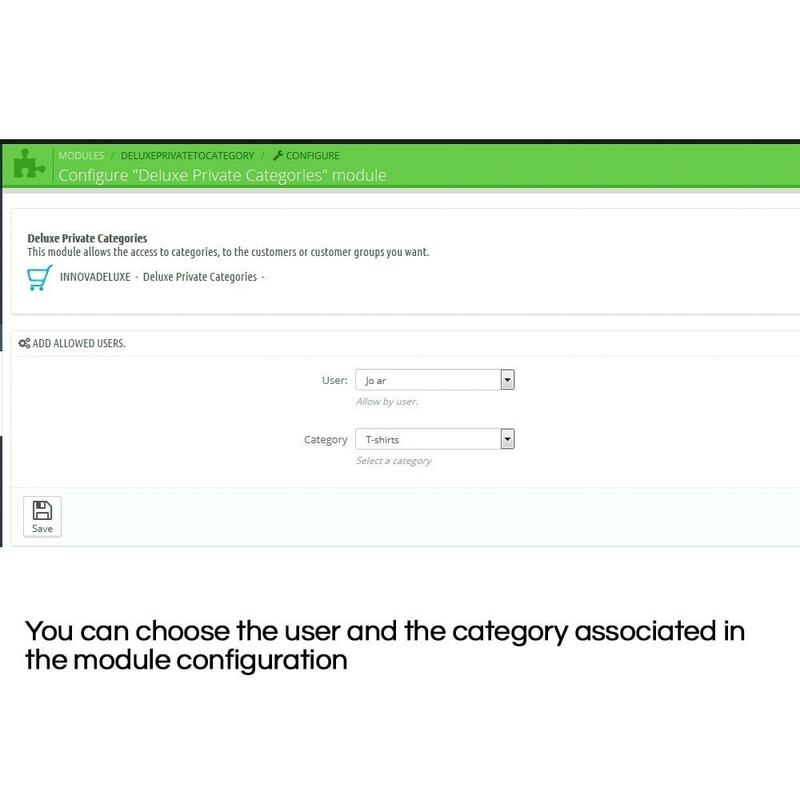 This module for b2b stores, allows you give permission to customer or group to the categories you choose.The categories and associated products will be forbidden for the rest of users. 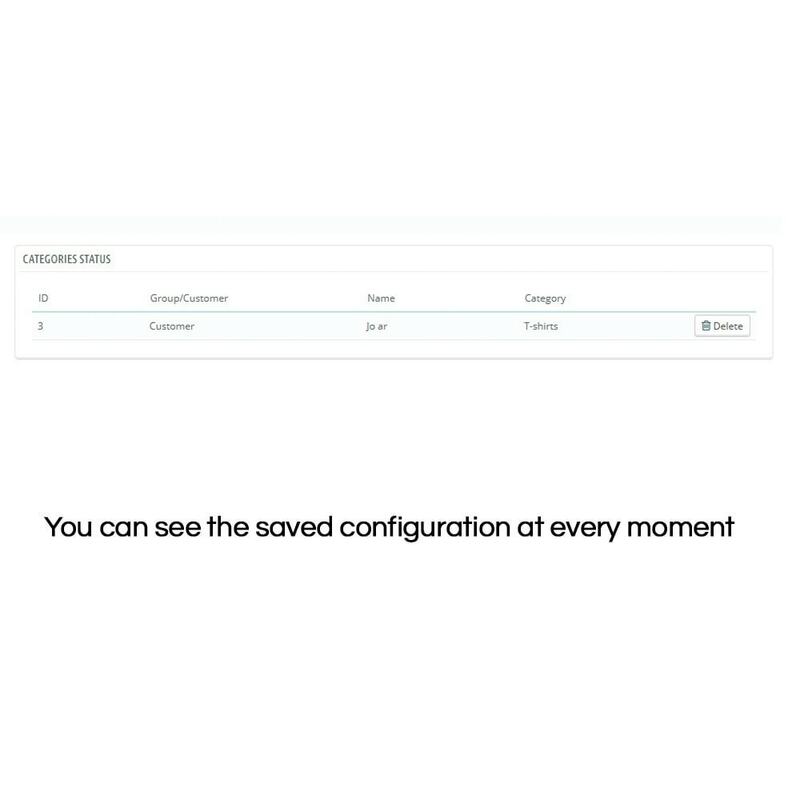 You can configure various customer groups and differentprivate categories for each one. 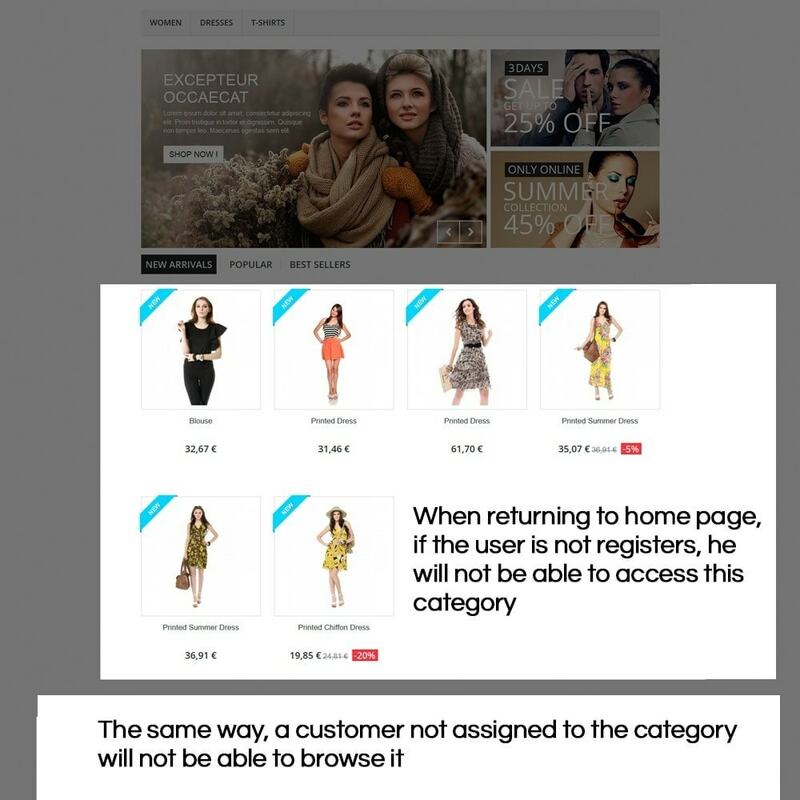 Your Prestashope store will become in an exclusive and private site, where you decide who is accessing each category. Very easy to configure. 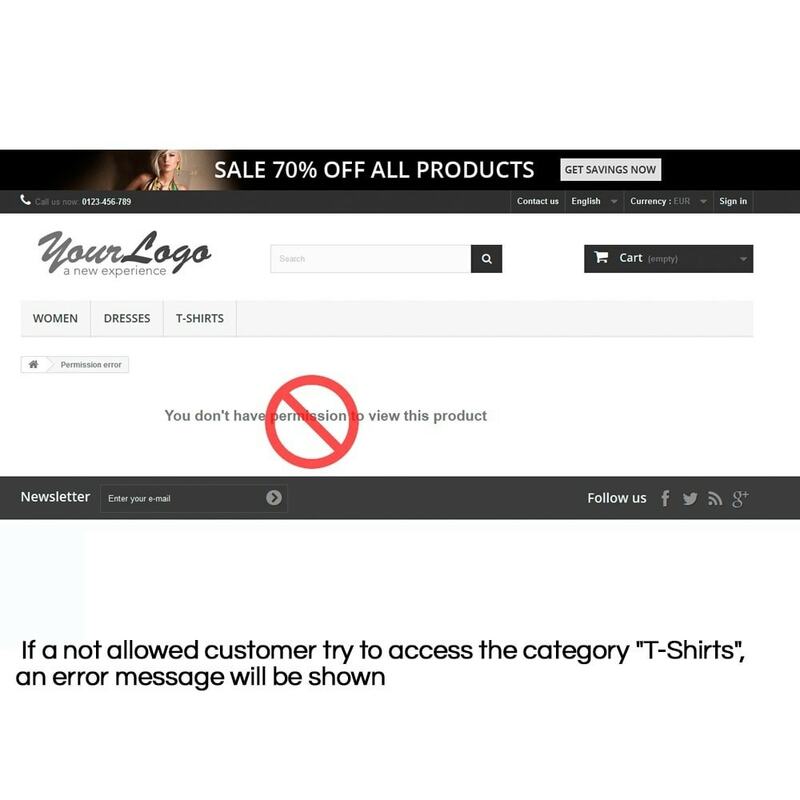 Just select a category, a customer or group allowed for this category, and apply changes.